Posted on February 2, 2019 Categories Blogroll, MediumLeave a comment on Was the Enlightenment Doomed from the Start… …like the Titanic? I’m always surprised that concepts like mind are still being used today in academic discourse. I find it odd that a renowned complexity researcher, such as Kauffman, calls a video clip “How can mind act on matter?” For me the old question “what is mind” is resolved. “Mind” is a pattern created by neural activity. So if one would follow the above question it would mean that neural activity (the pattern) acts on neural activity, which is a tautology. Instead of pattern one could use the term code, which sounds more familiar in our digital age. Although there is nothing digital in the brain, there are nevertheless hard-wired patterns, chemically mediated or modified by a soup of neurotransmitters, and resembling code. So would we say code acts on matter? Code is created by matter and is in flux, thus it “switches” binary circuits, creating new patterns, in that sense acting on matter. But is is only a matter, sorry the pun, of convenience in expression. The code is no ghost, but only the form matter takes on when certain binary switches are switched. Back to the brain. The open question, maybe, would be the meaning that resides in the pattern. For meaning to be recognised as meaning there seems to be an necessity for an act of recognition. So there may also be a recognition pattern, a pattern that says “I can see what you mean”. Now that reminds me of the concept of “intrapersonal communication” (Stacks & Salwen, 2009, p. 323). I can only recognise a pattern and with that “meaning” if I “hear” it, that is if it is spoken, even if silently. There must be an inner auditory capacity that “hears” my inner “speech”. Meaning is mediated through language and through social context. Enter linguistics. However, there also appears to be a shortcut. Reflective processing is usually not required when moving around in the world. It would be tedious if we would have to speak “there is a red light” while driving, and only then be able to stop the car. Intrapersonal communication, or just simply talking to oneself, may be a communicative phenomenon, that is fairly recent in human development. Julian Jaynes would not have seen it happening before 500 BC, at that time the voices in your head were not your own, they were the voices of the gods (Jaynes, 1982). So the ability to reflect verbally within oneself may be a more recent acquisition in human evolution. Reflection is slow but powerful when it comes to problem solving. Stacks, D. W., & Salwen, M. B. (2009). An integrated approach to communication theory and research (2nd ed.). New York: Routledge. Jaynes, J. (1982). The origin of consciousness in the breakdown of the bicameral mind. Boston, Mass. : Houghton Mifflin. enefit of creativity, even if they contradict each other. 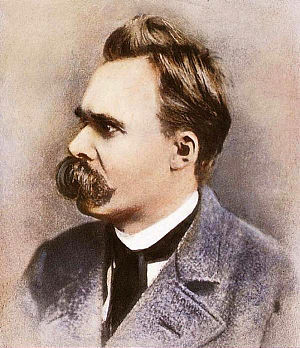 Think of Nietzsche’s contradictions! Education on the other hand is really about preventing that in a unified Ego, as Freud would probably like to see, there should be no contradictions, most of all know opposition to the prevalent paradigm of the particular culture and its enforcers. Deviations from the normal Armstrong would call bizarre. Yet we know how necessary this kind of subversive thinking is, as art and artists testify. So referring back to the voices in one’s head they must engage in a critical, controversial, dialectical dialogue in order to advance one’s thought processes.